Healing Hearts, by Sara M. Eden, is the latest Proper Romance novel from Shadow Mountain. The book follows Miriam, a trained nurse who wants to put her past behind her. And you can’t get much more off the beaten path than moving to Savage Wells in the Wyoming Territory. Miriam can’t help but think she’s got a bright future ahead of her as a nurse to the only doctor in the frontier town, but when she steps off the stagecoach, she realizes something is very wrong. Everyone thinks she’s there first as a mail-order bride and second as a nurse. Miriam is horrified, and Gideon MacNamara, the town doctor is equally mortified. Somehow Gideon’s request for a bride with nursing experience got mixed up. Now, the whole town is upset with the situation, and Miriam and Gideon are just plain miserable. For Gideon there’s only one solution — hire Miriam for the job she was expecting and move forward. As the two start working together, they realize that perhaps there’s a future together after all. If only Miriam’s deepest secret would stop getting in the way. Healing Hearts is the second novel Eden has set in the town of Savage Wells, and although they share the same characters and should probably be read in order of publication, are completely stand-alone. Eden has a familiar writing style that is easy to slip into, and her plot is better developed than some of the weaker Proper Romance novels. 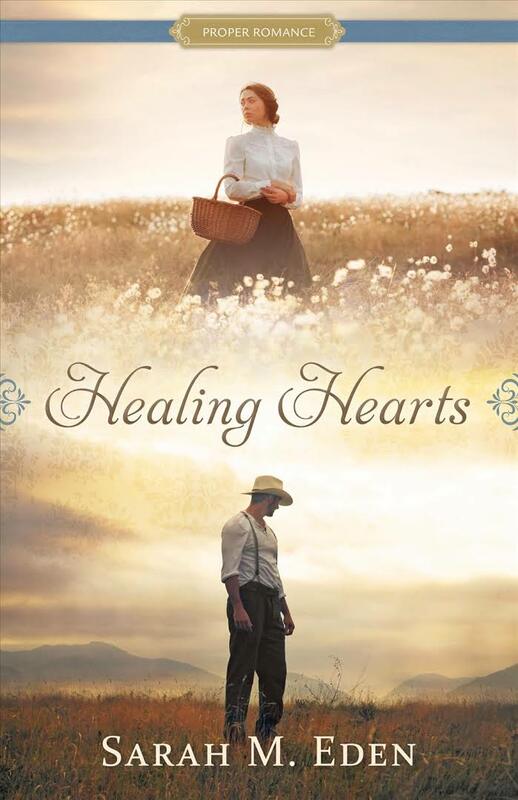 If you’re looking for a somewhat predictable, but otherwise lovely clean romance, Healing Hearts is a good option. My one quibble with the book has nothing to do with the story and everything to do with the cover. Miriam supposedly has an abundance of curly red hair that she can only manage to tame into a braid. She also only owns two “drab, shapeless dresses.” So why does the woman on the cover of the book not match this description? I hate it when these sorts of inconsistencies show up on covers, and I find it odd in the case of Shadow Mountain, which usually doesn’t make these sorts of mistakes.